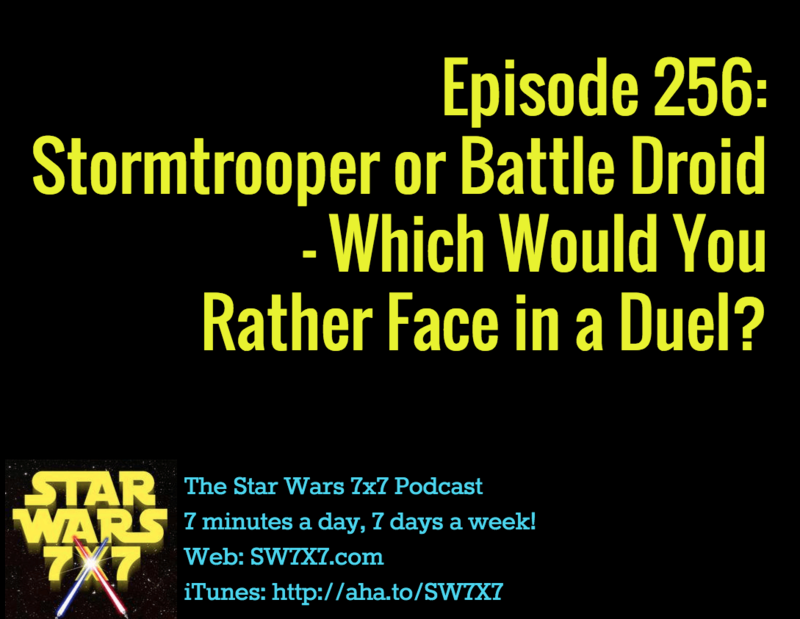 Home > Episode 256: Stormtrooper vs. Battle Droid! 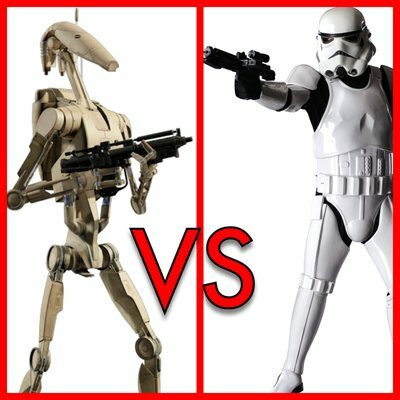 Episode 256: Stormtrooper vs. Battle Droid! So we polled our Likers and followers on Facebook, Instagram, and Twitter to ask: If you had to face one or the other in a duel, which would you rather face – a stormtrooper or a battle droid? How about you? Which would YOU rather face? Have your say in the comments! Rebel Alliance Varsity Jacket – click the pic for details and to get yours! Today’s question: How many stormtroopers broke into the Death Star’s hangar control room?